In October of 2014, Queclink’s customer LEVEL SYSTEMS recovered an active GL200 stolen from the stand in GITEX Dubai 2014, thanks to our product’s positioning accuracy and reliability. 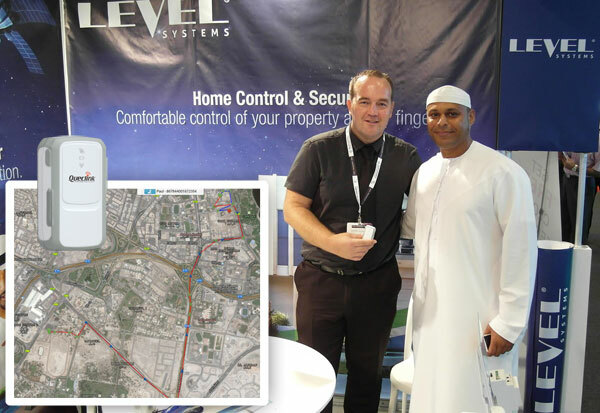 LEVEL SYSTEMS, a tracking solution provider based in the Czech Republic, put our product GL200 on their stand in GITEX Dubai 2014, a well-known electronic show in Middle East. A thief took the active GL200 from the stand when the staff was not looking and left the exhibition center. Our customer knew exactly when the thief left the exhibition center as he had already set a geo-fence around the building in the stolen GL200. But there was no way to stop the thief as he escaped in a car outside the center. Fortunately, our customers can track the route of the stole GL200 from the monitoring system and alerted the “Exhibition Police”. Within 24 hours, the tracker was returned to our customer. The story demonstrates that Queclink’s GL200 is a powerful GPS locator that can prevent stealing and help recover stolen goods. It has found wide application in lone worker, vehicle, pet and asset security.